"Discipline and repetition are the key to any success." Boxing is all about technique. You must master the basic boxing techniques before moving on. Continually practising and repeating the moves is the way to go – firstly using individual punches and eventually bringing it all together in one combination. Speed and power come next, as your boxing skills rise to another level. The perfect execution of boxing techniques or a combination (Jab, Cross, Left Hook as an example) is always a work in progress. Your punch bag is the tool you need for training the key individual elements of your boxing training – Technique, Power & Speed. These factors represent the core of boxing training and the core of the Fight Yourself Fit training system. Like any journey towards mastery – analysis and correction are vital. We need to identify and correct bad habits before they become difficult to train out. We need guidance, discipline and a point of reference against which to measure ourselves. 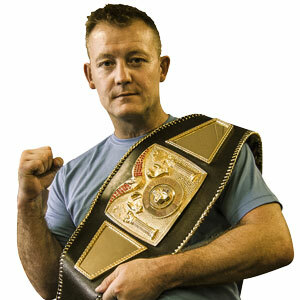 This is the key to accelerated learning and is the theory behind the Fight Yourself Fit boxing training system. Boxing Techniques – Let’s look more in depth at one of my favourite punches – the Low Looping Body Hook. It’s a great punch to add to your repertoire and one I loved using in the ring. Keep centered in a low wide stance. Keep your left hand up to protect your head. Don’t lean too far forward. Try and get your opponent to move into the punch for the best result. 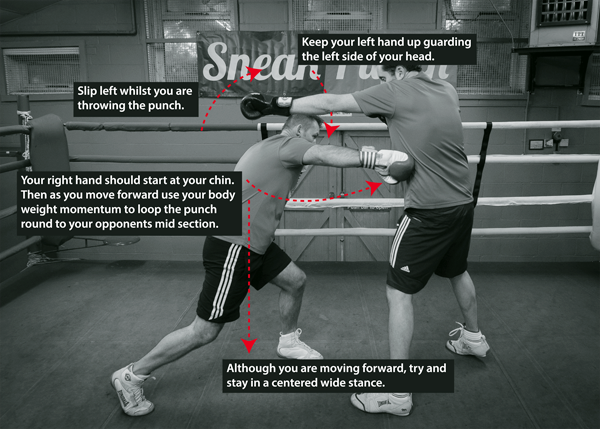 If you practise this on the punch bag, as with any new technique, begin slowly and lightly. Be sure to have your wrists and knuckles fully protected with your wraps and gloves. Fight Yourself Fit - IN ACTION! "I challenged myself to perform as many repetitions of the combinations as I possibly could during the round, all the while trying to keep my technique correct. 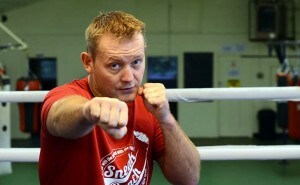 My favourite is jab, low cross, left hook, cross. It feels like you can gain a lot of power in the hook as you rise from the low cross."